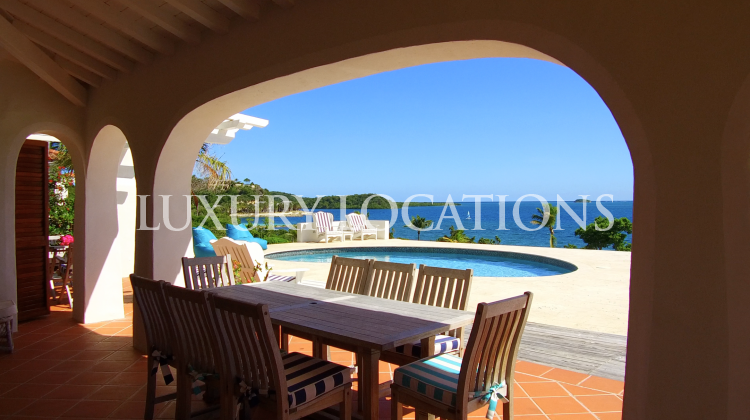 This beautiful property on the east coast of Antigua has three bedrooms in the main villa and a separate cottage with one large double bedroom adjacent to the main building. 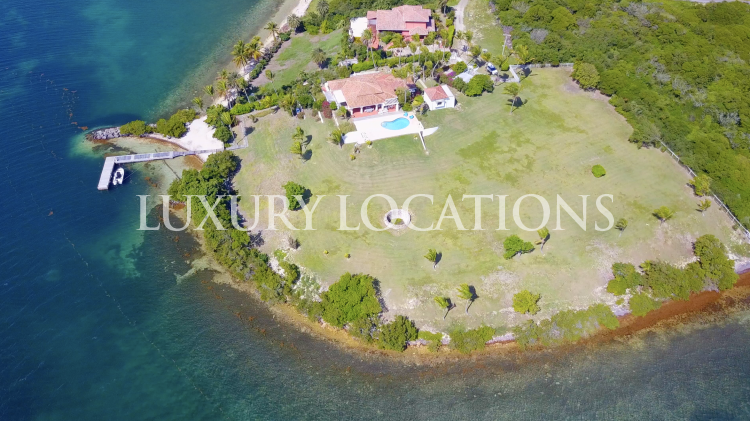 The property is situated on a bluff of three and a half acres, the location has stunning views over the bay. Blue Escapes has a traditional Italian style with a light and open feel. 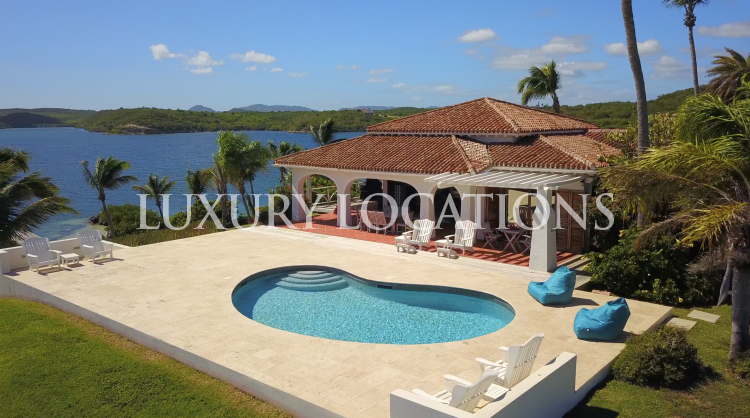 The main living area has glass patio doors on two sides opening onto a covered patio terrace and alfresco dining area leading out to the pool area. The master bedroom has a very large window to the front taking advantage of the views as well as a side patio door leading to a secluded seating area. 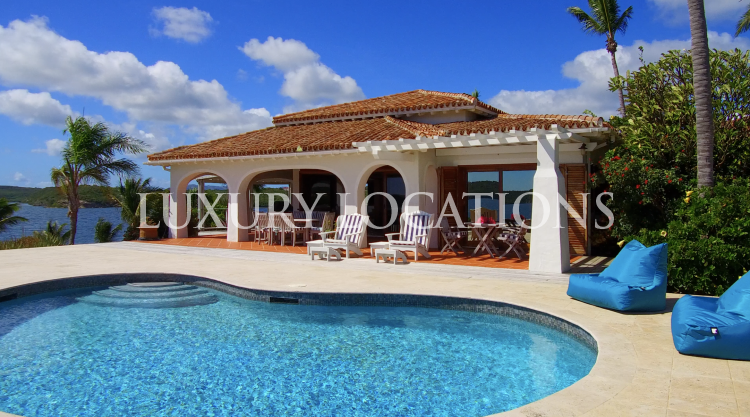 There are two further bedrooms in the main villa and three bathrooms. 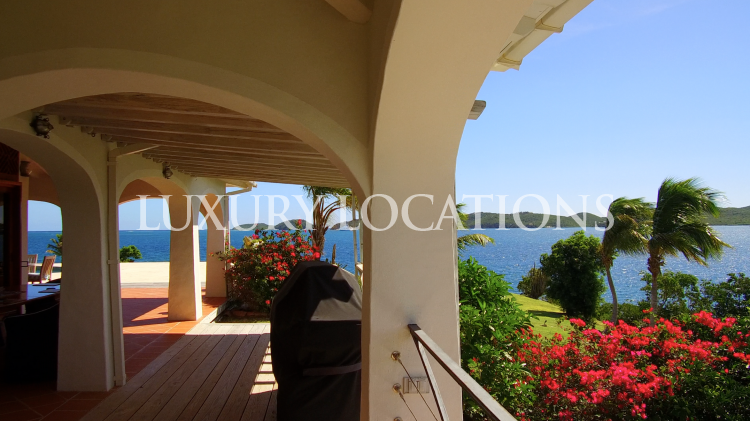 All bedrooms open to the views to the front or side of the property taking full advantage of the vista across the bay ensuring that occupants always have a spectacular view. The kitchen is to the rear of the property and benefits from a small pantry area. There is further space and storage in the main property due to the lower ground floor having three rooms and additional storage areas. These rooms have historically been used for storage and laundry but could be converted to contain an office, cinema or gym. The property was built approximately thirty years ago and is constructed of solid concrete, the roof is solid concrete but has a layer of tiles for aesthetics as opposed to function. As a result of the strong construction the property has weathered storms with no damage to the building. Due to the elevation of the bluff the property is not at risk of flooding. The guest cottage is newly completed and located adjacent to the main house it is styled with a more modern contemporary Caribbean feel to it. The cottage has one large double bedroom with ensuite bathroom and a small walk-in storage area. There is a large open terrace opening onto the pool deck which is tiled in an off white coral stone. The pool is an oblong kidney shape with an approximate depth of 1.2m - 1.5m. 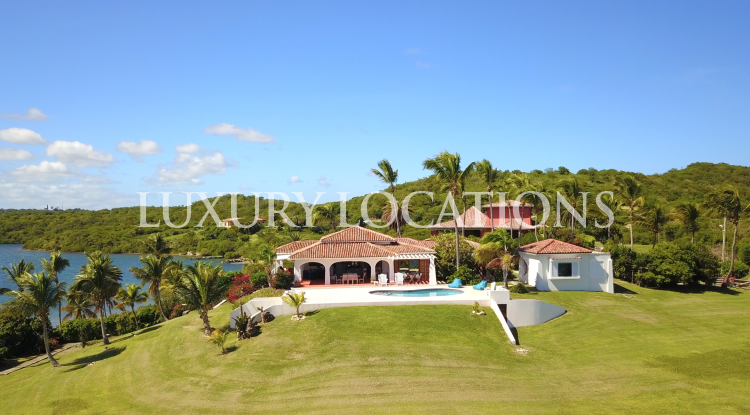 The garden is expansive, totalling three acres, predominantly kept as lawn with a smattering of palm trees this has the affect of maximising the views but providing a Caribbean feel. Due to the size of the garden it would be possible to subdivide the garden or add further buildings to the property. To the side of the main house a path leads down to the solid concrete “L” shaped dock 65ft by 45ft. The dock has a depth of around 15ft, due to the layout the main restriction on boat size would be the draft hence it would be possible to have a vessel as large as 75ft on the dock. 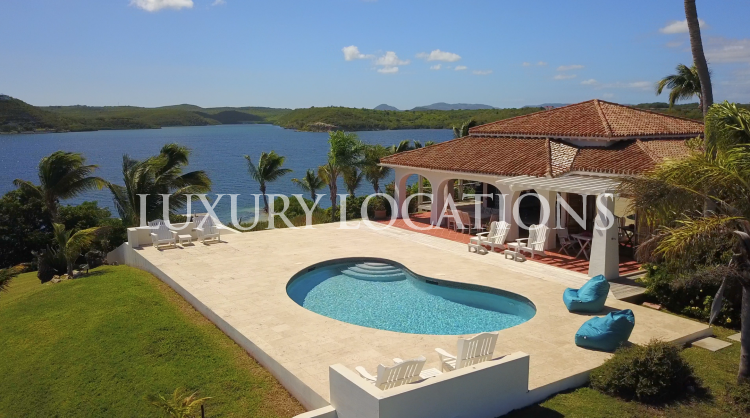 The property is located on the northern aspect of Non Such Bay on the east coast of Antigua, (Non Such Bay resort is on the opposite shore of the bay). Long Beach is three minutes drive from the house. 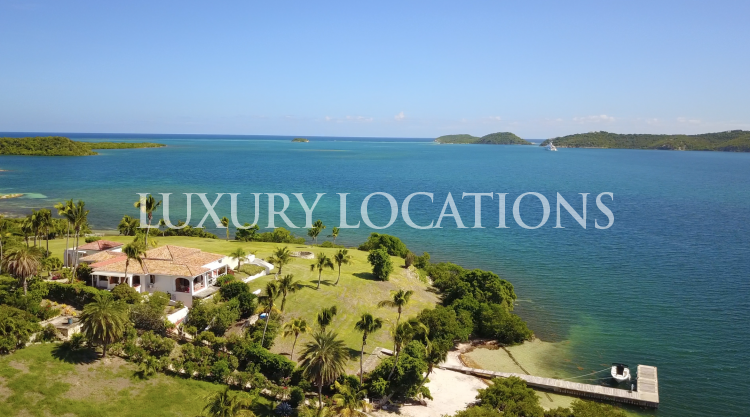 The land is a bluff with and has 220 degree views over the bay, and it is not surprising to realise that the property was used as a lookout post during the 17th century to protect Antigua against invasions from French controlled Guadeloupe. 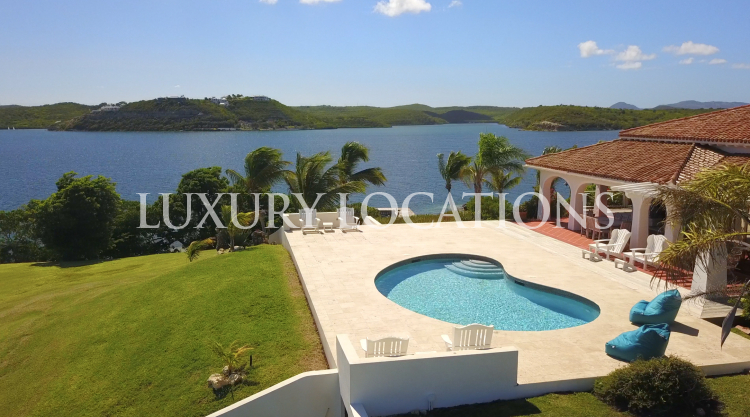 The bay itself is a perfect location for those wishing to take advantage of the Caribbean seas, there is a solid concrete dock with a depth of 14ft, the owners can therefore take advantage of the numerous nearby islands of the east coast of Antigua. 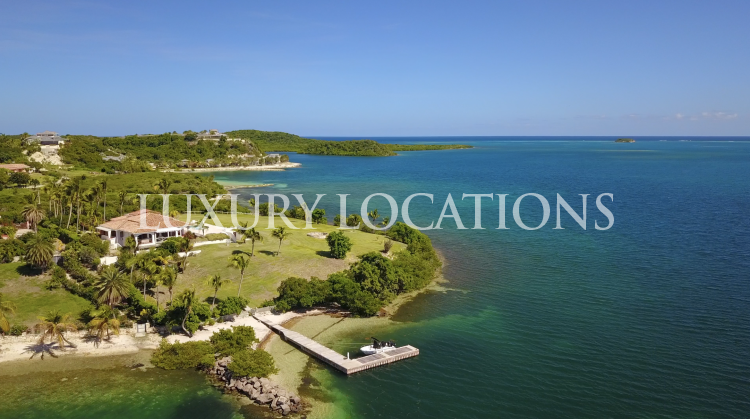 With clear blue water and gentle onshore breezes this location is great for, sailing, snorkelling and fishing as well as exploring secluded and deserted beaches of Antigua. 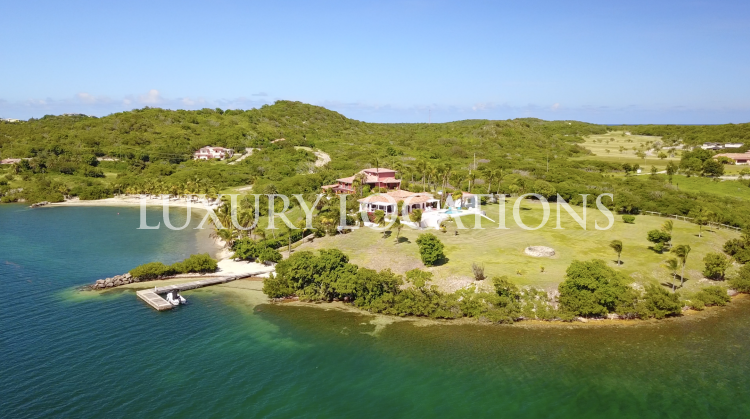 The property is within the confines of the Emerald Cove development, although the hotel is not operational the development still has the benefit of 24/7 security and very private access.